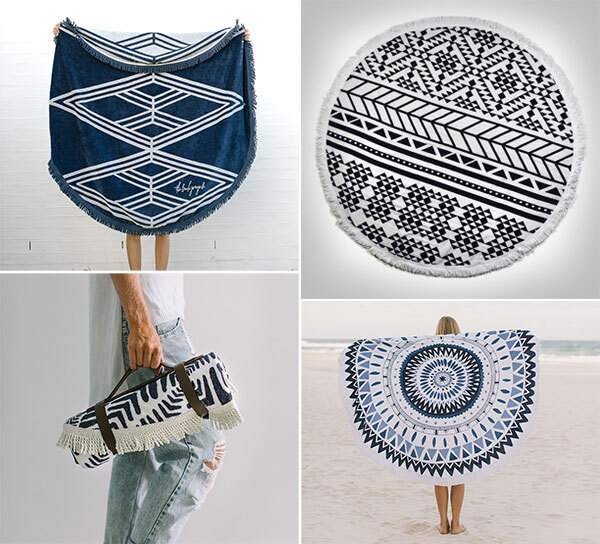 The Beach People make these enticing 5 foot diameter Australian 100% Cotton Roundie Beach Towels. 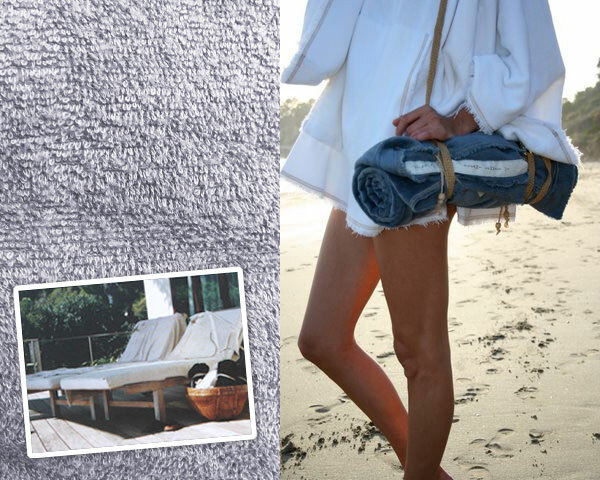 A favorite since 2009 (see my old feature Surf Monk on NOTCOT) - the Surf Monk Zuma Beach Blanket is one of the softest, comfiest, beach towel/blankets you’ll find - and it has a pocket!! It has held up really well over the years. Last year i shared a review of Vertty on NOTCOT and Bucky and I still use it regularly… both laying out in the yard and at the beach! See all the colors and options over at VERTTY. Also reviewed last year - see Nomadix on NOTCOT. 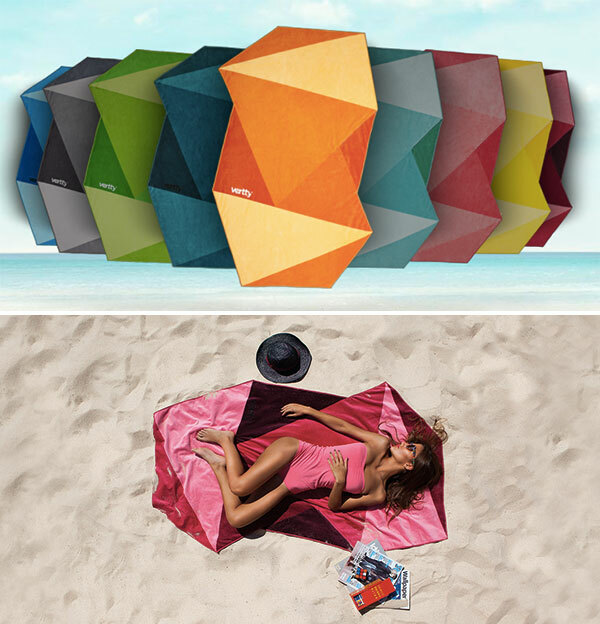 Part towel, yoga mat, beach mat… the Nomadix towels are made from 100% recycled materials. Harder to buy online… but so so good - check out Jennifer’s Hamam in Istanbul. We’ve been using luscious cotton bathroom towels from them (they are huge and cozy!) 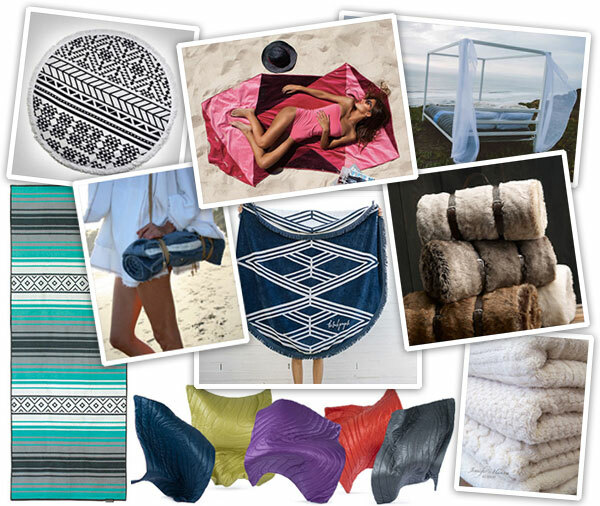 for years… and their pestamel/fouta towel/wraps are available in such a range of colors and qualities. They were some of the best we found! If you’re ever in Istanbul, the store is worth a stop - it’s filled wall to wall with options. 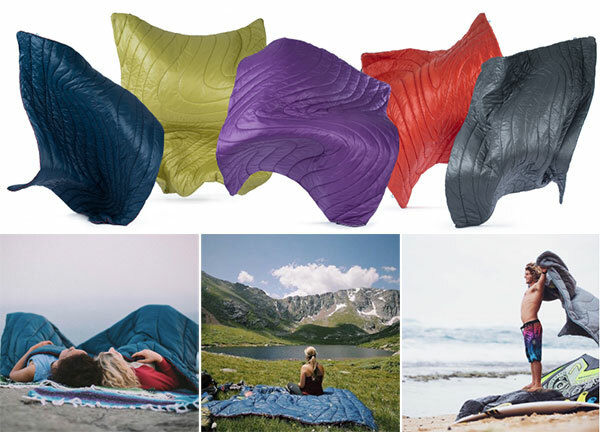 Like a sleek sleeping bag turned indoor/outdoor/everything blanket - there is Rumpl! So so tempting! And JUST launched on kickstarter is the latest product from Rumpl - The Super Fleece! While the Rumpl is more sleeping bag like, the Super Fleece is like your favorite hoodie (technical knit) on one side, and a cozy fleece on the other… AND the knit top has a DWR coating to repel water, debris, and prevent stains. Both Rumpl and Super Fleece can also be tossed into the washer to clean. 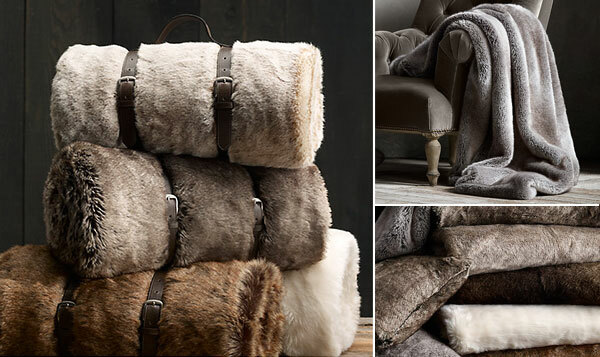 So, this may not look like the usual beach blanket/towel… but on ridiculous cozy surprises - who knew Restoration Hardware Faux Fur Throws and Blankets would be SO COZY! 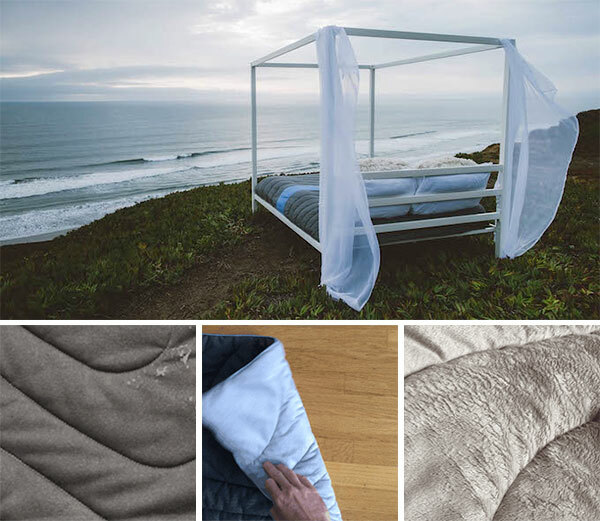 Absolutely perfect to curl up on a chilly night by the fire or on the couch… and no reason why you couldn’t bring it to a chilly beach or camping too! Animal friendly camping luxe perhaps? Just thinking through the options… aren’t you ready to curl up camping? lay out on the beach? head out for an adventure and know you’ll stay dry and cozy?